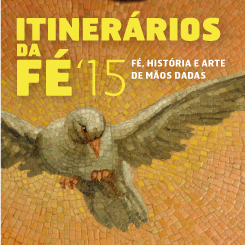 Last chances to catch this unique pick of the downtown churches Itinerários de Fé (Faith Itineraries), a different way to visit Lisbon. The thematic visits are a combined initiative of the Santa Casa da Misericórdia de Lisboa, and the churches of the Baixa-Chiado district. This initiative that lasted the entire year will have three more visits, this Saturday, October 10th, then on November 14th and the last one on December 12th. The participation is free, but a previous reservation is required through the following contact: 218 879 549. The meeting point, as usual, is at the Convento de São Pedro de Alcântara.